The taxi rank outside exits 1 and 2 offers three certified companies: Super Taxi, Sawa Taxi and Ele Taxi. A ride to the city center should not cost more than 30 - 40 zloty, but many TAXI charge 50 - 60 PLN when you are a foreigner. Be aware for unlicensed drivers who will try to charge you two or three times more. Always agree on the price with the driver before entering the taxi. Specially when traveling between Warsaw airport with bags. Always check the prices on the labels outside the taxi vehicles. Avoid take a taxi where the prices are not declare. Make sure you have the base amount when you start the ride. Have you ever tried the kiwi Taxi? Kiwi taxi is an international airport transfer booking company. Available for all the main airports, train stations and bus stations around Poland. Just choose your airport, city or train station in the: Search Box. Specify the date and time of the transfer, the flight number and other details of the trip. Leave your contact details and make a prepayment. As soon as you do it, you car will be waiting for you. Please note that you use just a normal tickets from F. Chopin Warsaw Airport! There are ticket machines just outside the train platforms. Take a ride to center using a simple transport ticket which cost only 4,40 zloty (valid for 75 minutes). Catch the brand new train a few hundred meters from the airport exit or get the bus number 175 from the bus stop outside the airport exit. See the Map here: Map of F. Chopin Warsaw Airport. After you get out to the main airport room, where people wait the one arriving. Turn to the right, do not get out in the street. Keep going till the end. After McDonalds, you will see the electric stairs with a train sign going down. These stairs will lead you directly to the train. Take the escalators taking you down to ticket booths. Follow the only way and you will find the ticket machine with possibly a lot of people trying to buy ticket. Buy your ticket and go to the train. If the instructions are not clear, please check the map here. The SKM trains run several times per hour and they are red and white colored. Using S2 train will take you to Śródmieście station in the city center. The S2 runs every half hour. The S3 train will take you to Warszawa Centralna station and runs once an hour. Night line is N32 from Warszawa Centralna railway station (Warsaw Central Station). Instructions on how to use the train or the bus from the airport to the city center. Maps and detailed information and information about late night buses. How to get from Warsaw Chopin Airport to the city center using public transportation - ZTM WAW Website. Looking for a more convenient option to travel from the airport to your hotel or the opposite? Would you like someone to wait for you with a paper with your name on? Modlin Warsaw Airport is far from the city center. It is one of the biggest cheap airline hubs in Poland. Ryan-Air currently operates 44 connections across Europe. Many options can be used to travel from Modlin Airport to the city center and back. The Koleje Mazowieckie train route is a cheap option. Cost around 19 zloty for the shuttle and the train together and is around 50 minutes in total. Regular buses operated by Koleje Mazowieckie running from the Modlin railway station. The station provide fast transport right to the passenger terminal entrance door. The company has a special offer called Airport Ticket. The offer is for passengers traveling to/from Warsaw Modlin Airport. Modlin bus is a more comfortable option. The tickets start from 9 zloty - when you book ahead at: ModlinBus Website. The tickets can be 33 zloty+ (at the airport) and this also depend on the time. Bus stop is located in front of the exit from the airport. See more info about Modlin Bus Stops. Another bus which you can check from Modlin Airport to Warsaw City Center (Palace of Culture and Science) is the OKbus-Warsaw. You can find maybe some rides during the night and early morning. Check also: GoEuro.com - Airport Transports and City Transports in Warsaw and rest Poland Cities. GoEuro uses comparison engine for flights, buses and trains and get you all results. You can go with the KML train until 00:20. It will take from 20 to 45 minutes to get to Kraków Główny (Central Station). You can also go with the Bus 208 from Dworzec Głowny w Schód. Ticket is less than 1 euro. Zarząd Transportu Miejskiego – ZTM (Board of Transportation in Warsaw). A transport organizer responsible for functioning and using the public transport in Warsaw. Supervises all means of public transportation within the city limits. It is also responsible for some lines outside the city. Warsaw’s network divided into 2 zones: 1 (city boundaries) and 2 (outside the city). Generally tourists travel only in zone 1. The standard ticket costs 4,40 zloty. This ticket allows you to travel 75 minutes from the time of validation. For a short trip we recommend you buying a 20 minute ticket instead, which costs 3,40 zloty. On September 22, Poland celebrates the European Car Free Day. You will go for free in both the first and the second ticket zone. Skierniewice, Kutno, Sierpc, Działdowo, Ostrołęka, Małkinia, Czeremcha, Łuków, Dęblin, Skarżysko Kamienna, Drzewica, and on the Warsaw Commuter Trains. The Day without a car started in Poland during 2004. It is a day promoting the public transportation. If you are going to stay longer in Warsaw, you could buy one-day ticket which costs 15 zloty. During the weekends we recommend buying the weekend ticket. The ticket entitles you to unlimited number of journeys from 7PM on Friday till 8AM on Monday. This option will safe you money if you are planning extensive travelings. Check all the options for buying tickets and find the most suitable for you. 3 Day Ticket for Zone: 1 is 36 PLN and for Zone: 1 and 2 is 57 PLN. The easiest way to buy a ticket are the vending machines. They are usually located in popular stops and underground stations. Vending machines accept coins, bank notes and credit cards. Some buses and trams are also equipped with ticket machines, but some older trams and buses are not. Please make sure you have your tickets in advance in any case. Another way to get tickets are newsagents, post offices or Passenger Service Centers. Note that inside the most of the buses and trams, machines are validating the tickets at the same time. Make sure to buy only ticket/s for the specific route, so it wont go wasted. It is often to have a ticket control and the fine for not carrying a ticket is around 140 zloty. In this case they might ask to pay the fine in cash at the same time. In underground metro, you need to punch your ticket at the entrance points and not inside the train. Some type of trains (Green old one), do not have a ticket validation machine. The only way to buy a ticket is to get in the front wagon. There should be someone selling tickets there and it is travelers responsibility. If you are planning to stay in Warsaw for more than three months, then the monthly pass is highly recommended. A monthly pass from the city transport provider (ZTM) give you unlimited access to metro, buses and trams. Also unlimited access to the night buses that exist for the whole night every half an hour. In order to be able to buy this option, you will need to issue a Warsaw City Card. In order to get the Warsaw Card, you need to fill the online form in: Warsaw City Card Website in English. Unfortunately there is a waiting time around 4 working days. You will then receive an email that your Personal Card is ready and you can pick it up. Pickup points are available in the biggest train/metro stations. You can find the list here: Warsaw Card Pick Up Points. Remember – in case of the traditional application, an attached photo shall have a format of 3.5 x 4.5 cm and be current. In case of the application sent via the website, a photo shall have a format of min. 99 x 128 pixels, the definition of 72 dpl and the size not exceeding 200KB. One final issue is that the person might not speak English so it will be nice at least to say that you want to pickup your Warsaw City Card. You will also give your Parrsport preferably. You can use the Google translate that will spell you how it is. The issue of the first card is for FREE, but if you lose it or destroy it you will have to pay 14 PLN for a new card. Once it is used, you just need to renew it using the ticket machines or in buses. There is a great mobile application, called "Jakdojade". The application contains all the main cities of Poland and it is very easy to use. You select your city and it will find your location. Then you start typing your destination. The application intelligent tries to match all possible destinations to make it easy. But it is more convenient to install the application for Android or iOS. You have also the ability to buy a ticket using this application. In case you enter a bus or a tram without a ticket machine You can also use Google maps in the same way. The application is able to find routes also for Warsaw airport and other airports in Poland. Bus lines divide into 5 categories. Standard lines ( with numbers: 100-299). Seasonal lines (300-399). Fast lines (400-599). Express lines (E-X). Zone lines (700-899) and night lines (NXX). Tram lines have 2-digit number – from 1 to 79. Day lines run usually from 5AM till 11PM. After you hop on the bus or tram you have to confirm your ticket in the validation machine. If you change the vehicle you don’t have to stamp the same ticket again. In case your stop is a stop on demand (na zadanie), you have to press the stop button in advance. Night buses usually run from the center that for the whole night. Going go to many different directions in Warsaw, usually every half hour. See the buses with NXX numbers. You can check your destination in Jakdojade as mentioned above. Interchange station between these 2 lines is Świętokrzyska. Metro trains run from 5AM till 0.10AM from Sunday to Thursday and till 3AM on Fridays and Saturdays. For middle distances the best way to travel is the train. There are 2 operators running on Warsaw’s tracks. Szybka Kolej Miejska (Fast Urban Railway) in red-white color – lines S1, S2, S3 and S9. Trains connect Warsaw city centre and satellite towns. Second operator covers region of Masovia. Koleje Mazowieckie (Masovian Railways) in blue-green-white color operates lines R1-R9 and RL. To travel in these trains you have to own at least one-day city ticket. Or you may buy a single ticket from cash offices or ticket machines. The most inexpensive and pleasant way to travel within the city of Warsaw is by renting a bike. Plenty of pickup-drop points exist around the city where you can rent a bike. It is very easy to use the service hosted by Veturilo and there is even a very easy to use application available. Register online and enjoy the service with the first 20 minutes to be free. The cost for one hour is zloty and then 2 zloty for every extra hour. You can take a bike and then drop it to another point. After your registration, you can install the application and just rent by scanning the bar code. Return is also automatic, you just place the bike back to the station. Always make sure the bike is returned. In case you have no place to properly return the bike, you have to return it manually through the machine or application. Here you can find the map for all the stations and now there is a mobile application as well. Warsaw offers awesome bike streets that cover the most important parts of the city. You can find also amazing green paths next to the Wisła river. This service is available from beginning of March and until the end of November. You might not be a fan of walking or cycling across the city. We have now the solution for you. You can rent a Lime-S Electric Scooter from selected points across the city. Have you seen them in the city, but you have no idea how to rent them? It is very easy. All information are located on their website. Only 1 dollar to unclock. It should be also suggested by Google Maps and you get a cost estimate. For example 4 minutes might cost around 1,60 dollars as they advertize. Install the Lime application from Playstore (Lime - Your Ride Anytime). Select your country and enter your phone number. Add your Card and you are ready to go. You just scan the bar code located on the steering wheel and you get it. Feel free to use Code: RTKFGHR and get £3 ride Credits. Might be one of the most convenient way's to travel within the city. When traveling during the night time or when travelling with kids it is recommended. Going to a party, drink and then back to your hotel will not not cost much and it will keep you fresh and safe. Mobile application that will identify your location and suggest you a destination. You do not need to talk with drivers, although many of the drivers speak English. You also do not have to pay the driver. The payment will from your credit card. If you are not registered yet? Get 10 PLN off from your first ride with UBER. Also in the same category with UBER. You use an application, select a car according to your budget and watch on the map the driver coming to pick you up. You can also pay in cash or by a credit card linked to your account. I heart it can be very cheap, for airport transfers in Krakow. Get 10 zloty from me on your first ride using the code: "DRB9U"
Do you know that Taxify is currently the cheapest Taxi Service in Warsaw at least. I traveled on Friday at 4:00 in the morning from the Wisla river to Stary Wlochy - around 14 KM for only 17 zloty. Feel free to use UBER or TAXIFY when travelling from and to Warsaw Airport's! When arrive in F. Chopin Airport in Warsaw, go up from the stairs to the depatures space. Then call it from there, there is no space to stop in arrivals. Why i stopped usign UBER? Twice i was waiting in the cold for around 30 minutes. Drivers was cancelling one after another. Every time i was charged 10 PLN. Then i got these money back but i had to write to them. Many times the location was not identified correct. After checking Taxify, i find it cheaper, faster and more convenient. Many TAXI Drivers steal, specially the tourists. Never, ever take an unmarked car from the street or from the airport/station. At the Chopin Airport there are 2 or 3 guys speaking perfect English who "catch" foreigners on the way to taxi rank. Just ignore them. The taxi rank just outside the terminal is perfectly safe. Make sure when you start the taxi meter shows the base charge. If you can, confirm the price before entering the Taxi. The official taxi partners Sawa and Modlin Taxi offer transports to the city center. Prices from 159 zloty to 199 zloty or even more between 24:00 and 06:00. Always confirm the price before you enter the taxi. 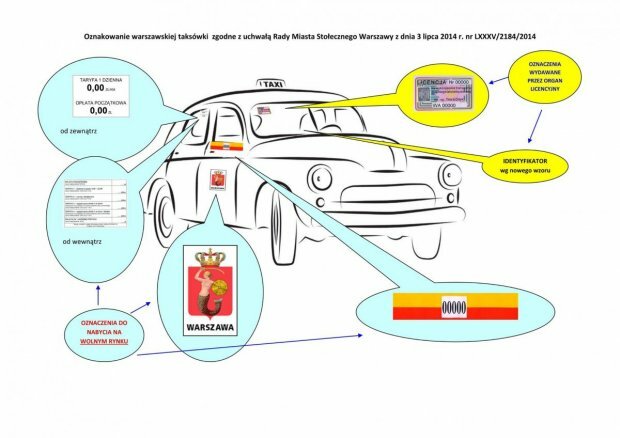 When using Taxi in Warsaw, always use Taxi that they have note outside of the base charge and the charge per kilometer. Many different taxi companies and a wide range of prices. You might get a taxi from one place to another at the same time but you will not pay the same. We recommend using UBER instead, as you get an estimate of the final price. Sometimes they pretend to be a taxi (for example using signs "Taki" or "Cab"). Always check the Signs and make sure they are normal taxi. A taxi from the Chopin airport to the city center should cost around 30 zloty. From Modlin airport should be around 159 zloty but i have seen taxi advertising the price of 99 zloty. The cheapest taxi option in Warsaw is the AS TAXI WAWA and you can only call them on 221005353. The drawbacks of this service is that the drives do not speak English. Also there is no taxi sign so it might be hard to identify the car and you only can pay cash. Finally, a Taxi service with a good name in Warsaw, are the TAXI which they have: ELE on the roof.Note the base charge (8 PLN) and the charge per KM (2,40 PLN). In case you have a bad experience with them, please le me know in comments below. See the best of Warsaw at your own pace on this City Sightseeing hop-on and hop-off. Warsaw is a big city and hard to see, specially with kids. Using the Hop-On Hop-Off bus might be a good way to not get very tired. Stops include Bank Square, Warsaw's Royal Castle, Old Town and much more! Hop on and off at any of the 10 stops as many times as you like. More information and prices for the Bus (on VIATOR). More Information and Prices (on GETYOURGUIDE). You can also buy your tickets from the Bus!! Be aware and check correct the location of the Bus in advance. Car for a minute work in the same way as the bicycle rentals. An application shows you the closest available car. You approach the car, scan a bar-code located on the car. The car open and you are ready to go. Charges are like 1 zloty per minute and per Km. Available in Warsaw, Krakow, Poznan, Wroclaw and Trójmiasto. Finally, a new one i have noticed lately is also car for a minute concept. You can check some more info here: http://4mobility.pl/. This seems to be 0,50 zloty per minute + 0,80 per kilometer and you can book your car up to 10 days in advance. Instead of renting a car or a bike, you can rent a scooter. Scooters should be nice to use in the city during the summer. Be aware of crazy drivers and try to drive safe. Check more information on their facebook page. You can also check their website. Except from renting a car you have many other options in order to travel between different cities in Poland. FlixBus is the cheapest way to travel between different cities in Poland. The buses depart from the Zachodni station in Warsaw. The buses are comfortable and they have a lot of space to relax and sleep. FREE Wi-Fi and they usually depart on time. You can find cheap buses to all the main destinations in Poland. Yes, it is definitely a good option to travel between different cities in Poland. It migh not be the cheapest way in many cases, but can be fast and convenient. The main company to look for internal Flights in Poland is definitely LOT Polish Airlines. Please note that then you will need to find a way to travel from the airport to the city center. You can also use the Polski bus, as they are very comfortable buses. The only problem is they leave only from specific locations. Finally check also NEOBUS - First-class coaches world's best manufacturers. Modern approach, driving safety and the highest quality services. Another good and cheap option for traveling to specific locations like: Garwolin, Kazimierz Dolny, Ryki, Łódż Kaliska, Puławy. It was also running through the two Warsaw Airports Chopin and Modlin from the Palace of Culture - Kinoteka. the prices are very good and it is comfortable option. Check their website and make your booking online. BlaBlaCar is the world's largest service for searching for car passengers with 45 million users in 22 countries. The number of users in Poland has already exceeded 5 million and continues to grow rapidly. For travelers who like adventure and know a little bit of Polish or they can translate online. The cheapest traveling solution to travel long distances in Poland. You can book your ride or just request to see the prices in: Bla Bla Car website - at blablacar.pl. You can also drive other people and earn money. Last bit not least, check: e-podroznik.pl is another helpful service in Poland. It can provide options Google overlooks. Another good way for traveling. This service compare different transportation means in order to get you to your destination. GoEuro in an easy way to discover hidden transports you was not aware they exist. You can definitely use it to travel between different cities in Poland and discover cheap shuttle buses that will save you a lot of Money! This is a reliable service that can get you anywhere you need in Poland. Even in places that public transport doesn't go. Check their website to get a quote. The prices might be a bit more expnsive. Might be the best option for professional transportation of bigger groups. You can use it to go anywhere in Poland. This is high quality transport service. It is mostly applicable for: independent travelers, company travel and VIP clients. You can visit INTUI.TRAVEL WEBSITE for more information and booking. When to Rent a car in Poland? Planning to visit several cities, national parks and many other attractions? Are you able to drive and you like driving in long distances? If you answer yes, then it seems that renting a car would be the best option for you. In case you are going to stay in one city, then renting a car is not suggested. Parking fees might be a problem when you have a hotel in the city center. Check in advance for a free parking with your hotel and be aware that paying a parking might cost a lot of money. Poland is very beautiful and has an amazing countryside. Travel from city to city, visit castles and see beautiful traditional villages. Try amazing home made products and admire the countryside is the best way to discover Poland. Renting a car can also save you from extra airport transport costs. Get a Free quote for renting a car in Poland!